Can you believe it’s January already?! Oh my, now I have to get used to writing "2019" when it feels like I just got used to writing "2018"! As y'all know, with a new month comes new challenges... and I’m hosting this month’s Tutorial Challenge. What is the Tutorial Challenge, you ask? 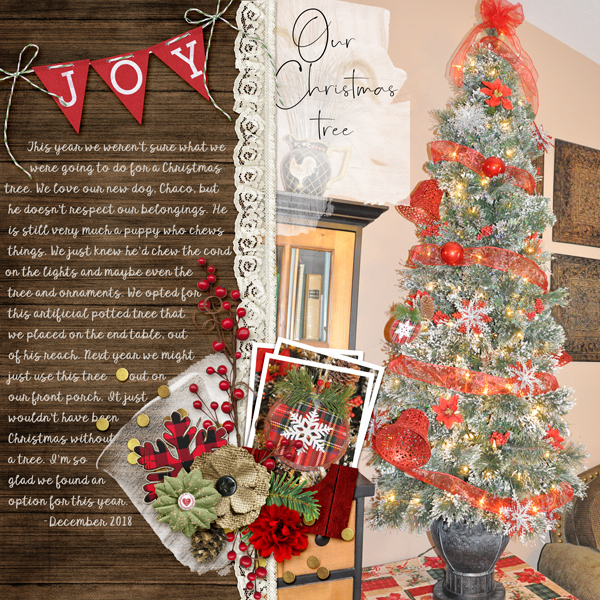 Well... all you have to do is find TWO tips or techniques from any of our previous Tutorial Tuesday posts on The Digital Press blog... and make a layout using the techniques from those 2 tutorials! How fun is that?! To make it easy to browse all of the many tutorials that have appeared on The Digital Press's blog (there are hundreds!)... the entire collection of tutorials is cataloged on our TDP Pinterest board for tutorials and it can be FOUND HERE. There are so many tutorial topics for you to choose from, that you will surely find something that will challenge you as a scrapper -- whether it's focused on photography, journaling, Photoshop techniques, and more! I wanted to preserve some of my daughter’s artwork as her skills and interests change each year. I also noted that when I typed my journaling in normally, it didn’t fit the artist theme of the page, so I loved using the 'Blending Text' tutorial to make it more realistic. I will definitely be using this technique again! I think that this is such a great challenge, because it helps us grow as scrappers and learn/implement some new-to-us techniques! So... go find some tutorials and let’s see your pages! Create an original layout or project using TWO of the tutorial posts found on TDP's blog (they are linked up above) using 100% TDP products. You should use 2 tutorials that you haven’t used before! 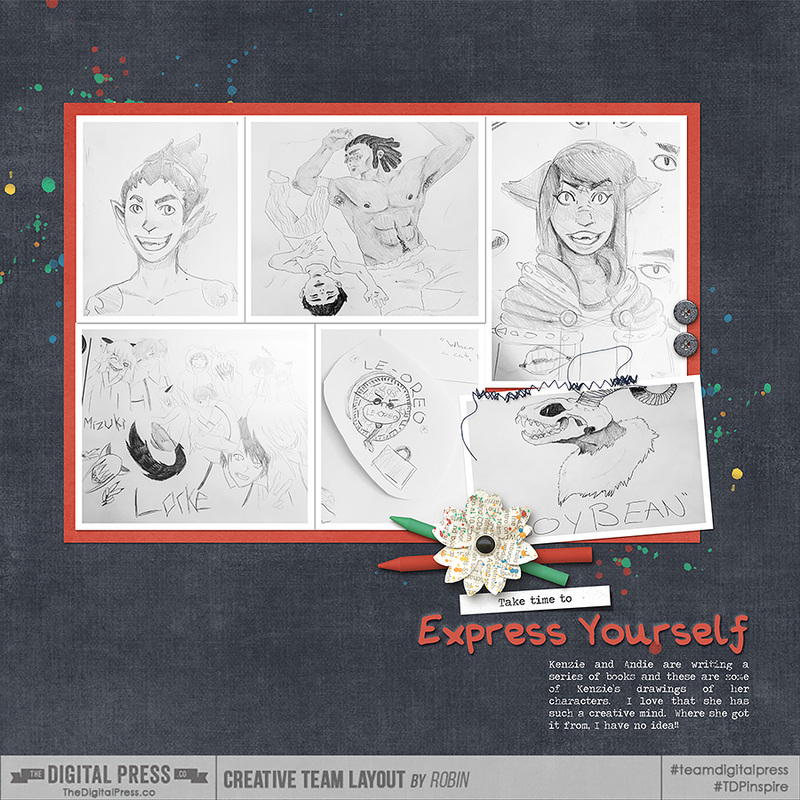 Post your layout by 11:59pm ET on Thursday, January 31, 2019 in the CHALLEGE GALLERY here at TDP. Start a post, below, in which you can link us up to your layout from the gallery... and also link us to the tutorial you used to complete your layout or project. Don't forget to track your layouts in the JANUARY 2019 TRACKING THREAD. Last edited by Laura Passage; 01-07-2019, 03:21 PM. it's always fun to try new tutorials. I hadn't seen the lasso tool one and used it myself just a minute ago thanks to you pointing it out! 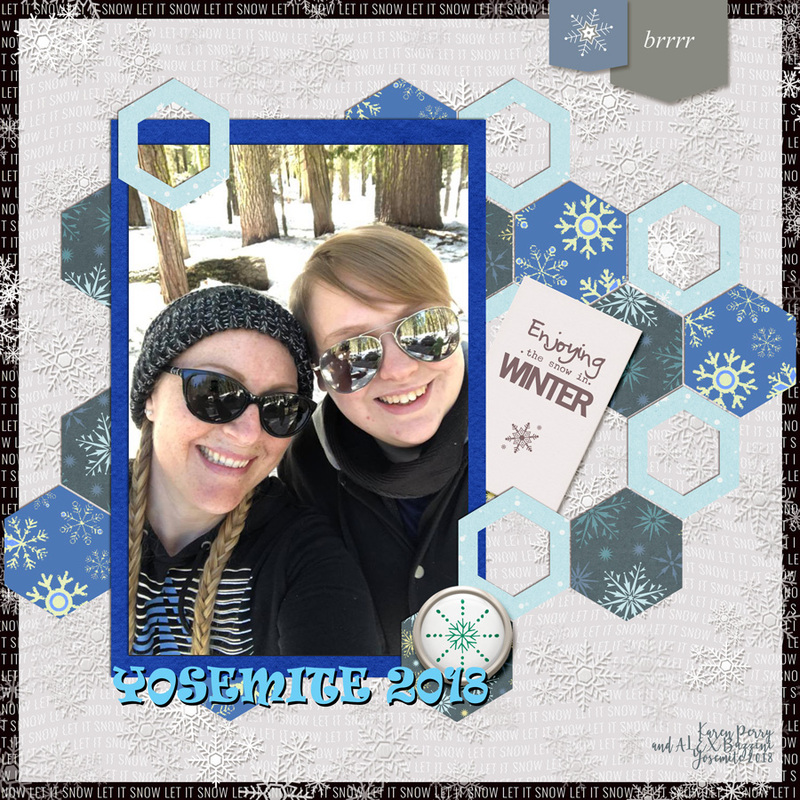 Love your layout Tiffany and especially the way you were able to wrap your text around your elements! I used Tips to Easily Recolor Elements to change the color of the both the blue patterned papers, and to change the color of the off-white paper to black to create the black background. I also used the Wave Shadowing Tutorial but changed the setting so it created the waves in the words on the off-while background paper. Wow! You did a great job with your text. I cannot imagine how long that took you! Love your recoloring too. That technique really stretches our stashes doesn't it??! Thank you for playing!